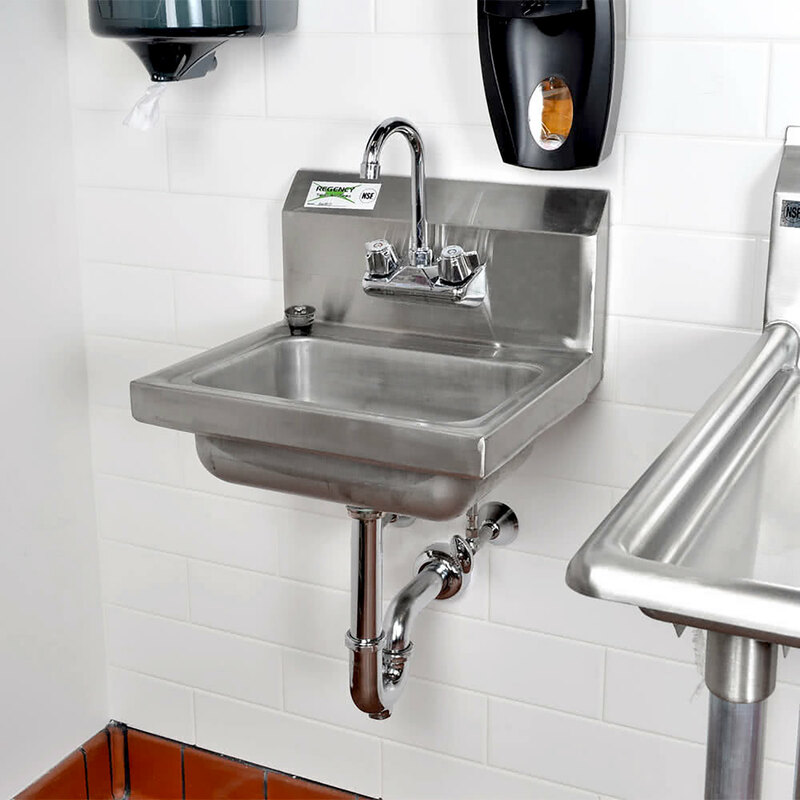 Ensure that your establishment has a designated hand washing station with this Regency wall mounted hand sink with gooseneck faucet and p-trap! 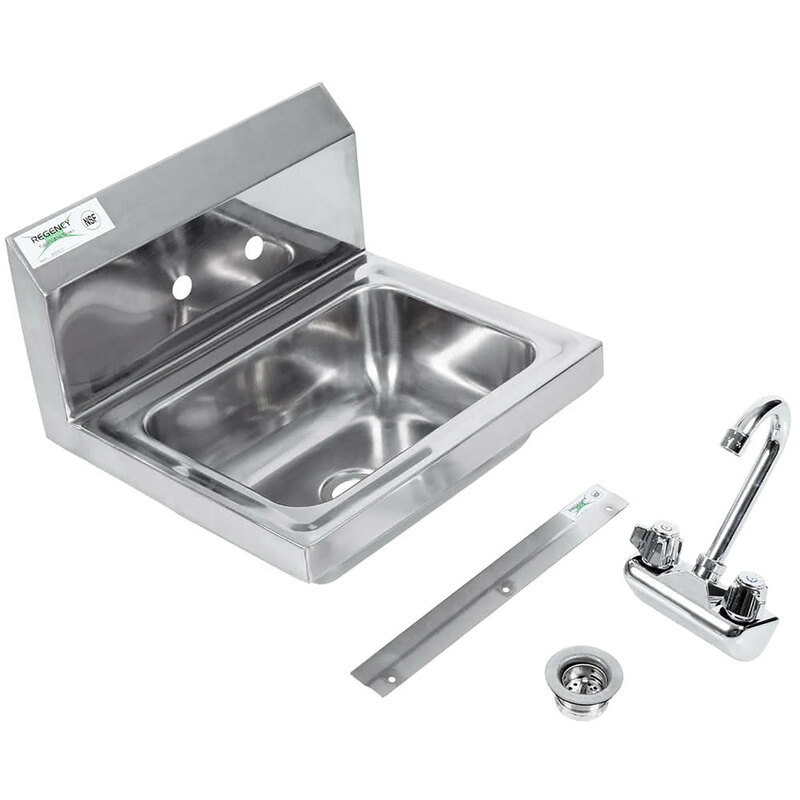 Made of 20 gauge, type 304 series stainless steel, this sink guarantees reliability and durability, while also being corrosion-resistant. This easy-to-clean unit features a single, deep drawn 10" x 14" x 5" sink bowl and a convenient 9 1/2" high backsplash to protect posterior walls from any water splatter. 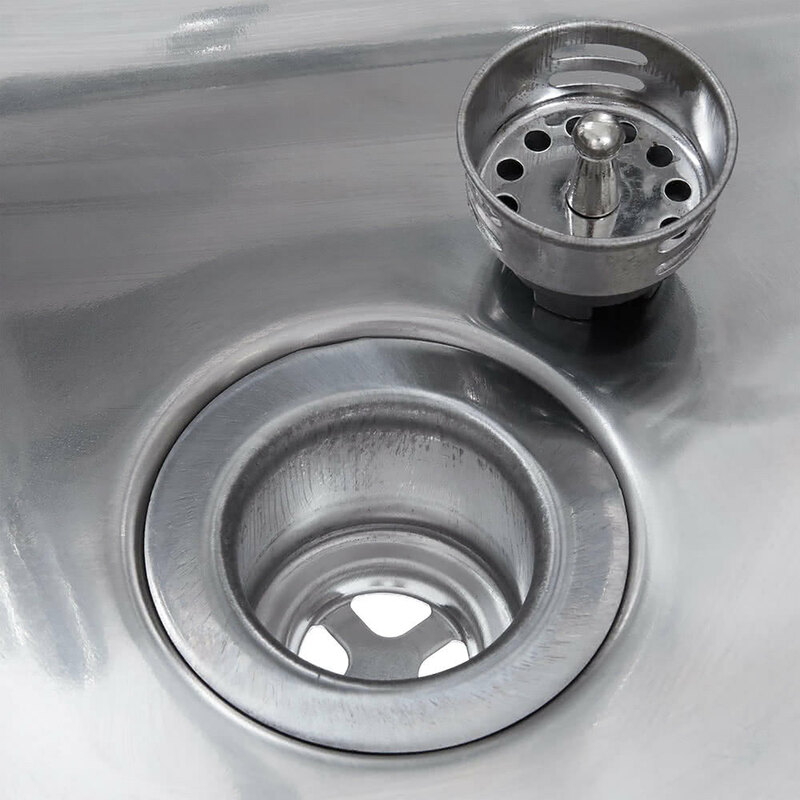 Plus, with a compact design, this sink can fit in tight spaces and securely attach to the wall or a surface to open up floor space for other uses. This hand sink comes pre-drilled with holes on 4" centers to accommodate the included Regency gooseneck nozzle faucet. 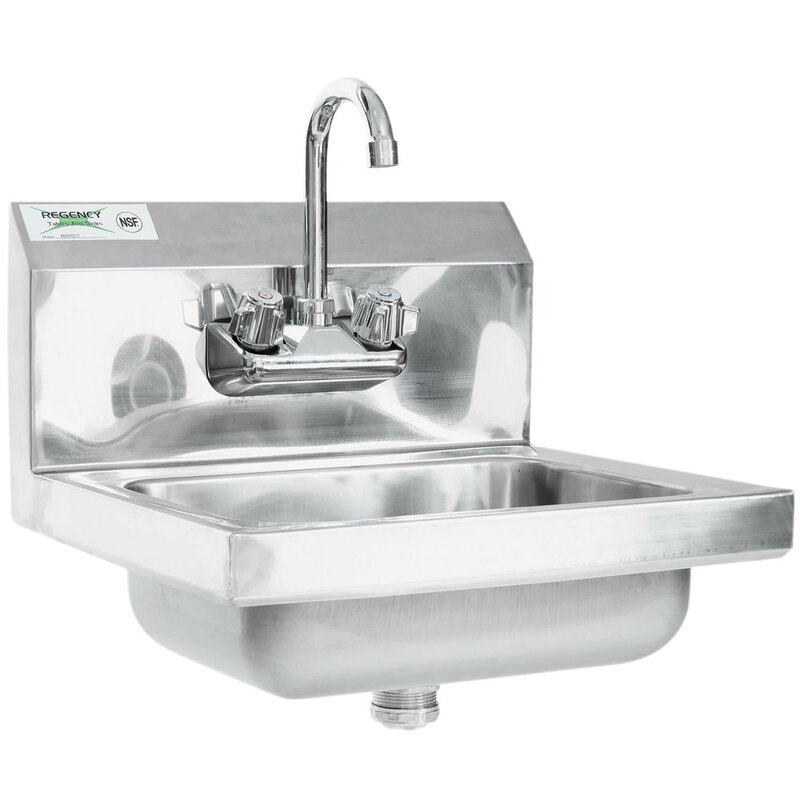 Standing 8" tall, this faucet provides excellent reach and clearance for comfortable hand washing, and thanks to its low lead content, you can be sure that it will deliver safe, clean water for your business. 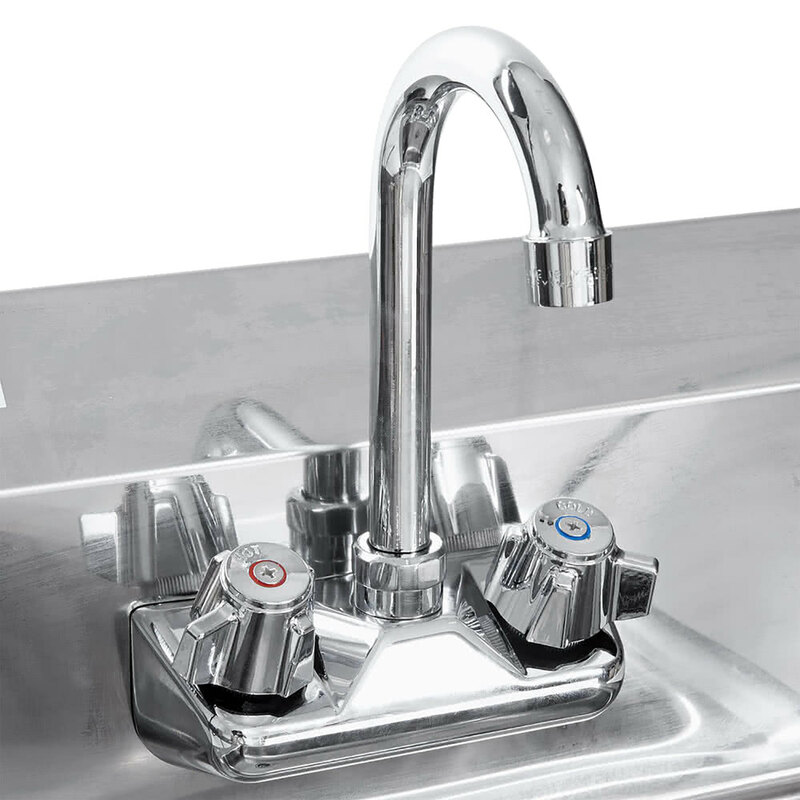 For quick identification, the faucet features two easy-to-turn, labeled and color coded handles for hot and cold water. 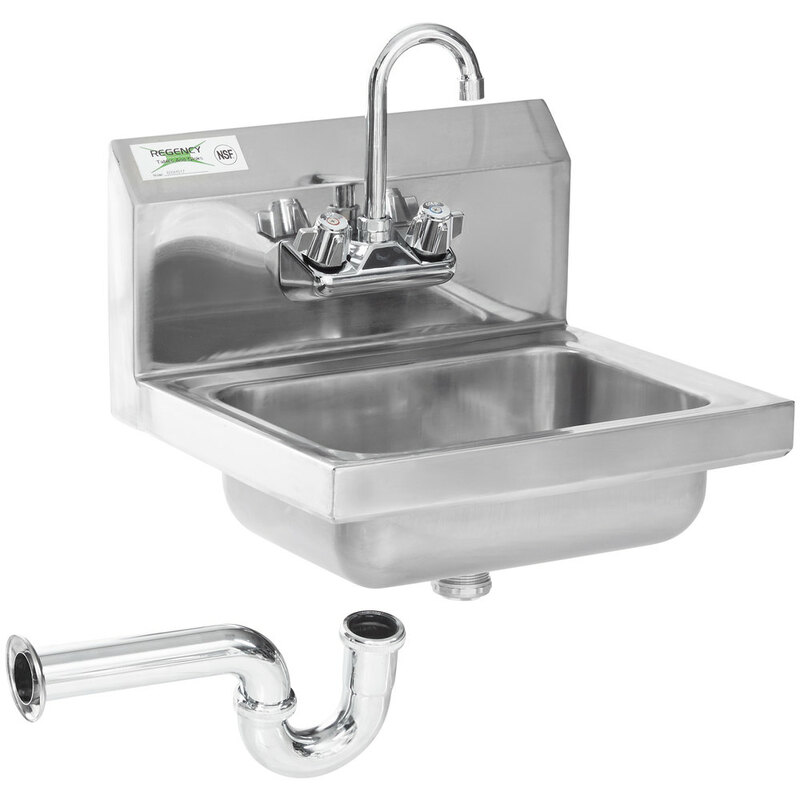 For further convenience, this hand sink comes with a 13" chrome p-trap to prevent unpleasant sewage odors and gases from escaping your drain pipe. Thanks to the purposeful curved design, water gets trapped in the "U" shaped pipe, which then acts as a barrier against the odors and gases that would otherwise drift up and out into the air. An included wall-mount clip and 3 screws (sold separately) make this hand sink easy to assemble and install. It requires a 1 1/2" IPS drain connection.